Very nice, well kept home that is ready to move into. The large living room and the basement family room give you lots of room to entertain. The kitchen has lots of cabinets and the seller is leaving the stove. The furnace is new and the sump pump was installed in February 2013. The bedrooms are decent size and one bedroom has two closets. There is also a large fenced backyard. The seller is providing a 1 year Home Trust Warranty. 4721 Cliff Ave, Louisville KY 40215 is a Home, with 3 bedrooms which is recently sold, it has 1,327 sqft, LESS THAN 1/4 AC sized lot, and Driveway,No Garage parking. 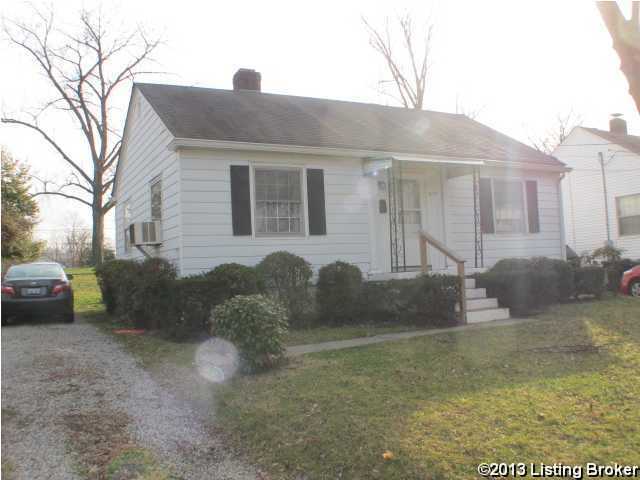 A comparable Home, has 2 bedrooms and 1.5 baths, it was built in and is located at 4531 Picadilly Ave Louisville KY 40215 and for sale by its owner at $ 49,900. This home is located in the city of Louisville , in zip code 40215, this Jefferson County Home, it is in the SOUTHERN HEIGHTS Subdivision, and HIGHBAUGHS POWELL are nearby neighborhoods.